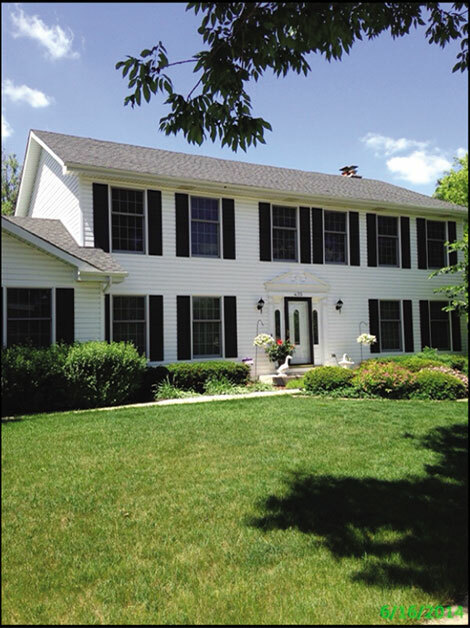 Residential Home in Hoffman Estates, IL Project | J.C. 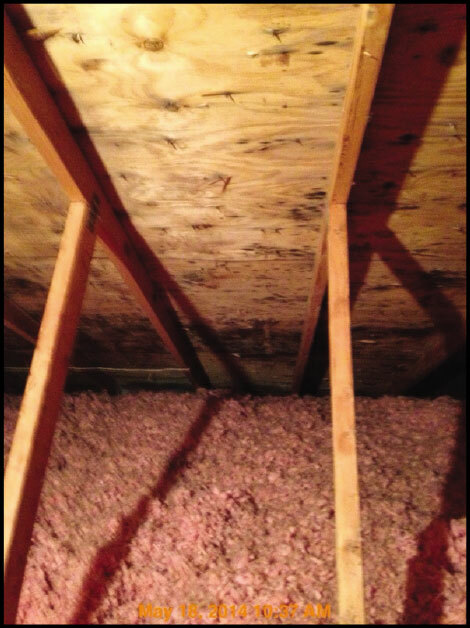 Restoration, Inc.
Hoffman Estates, IL – Homeowner discovered mold in the attic and basement of their residence. The mold in the attic was also starting to damage the ceiling on the second floor. JCR crews were dispatched on site, and containment and floor protection were set throughout the high-traffic areas of the home in order to prevent any damage to the floors. Heavy content manipulation and protection of personal belongings was completed. Inside home air scrubbers, dehumidifiers and fans were placed throughout the affected areas to maintain clean air quality and dry conditions. 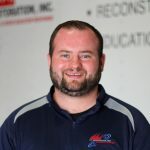 Services provided included mold remediation, controlled removal of affected materials such as insulation, drywall, walls and ceilings. 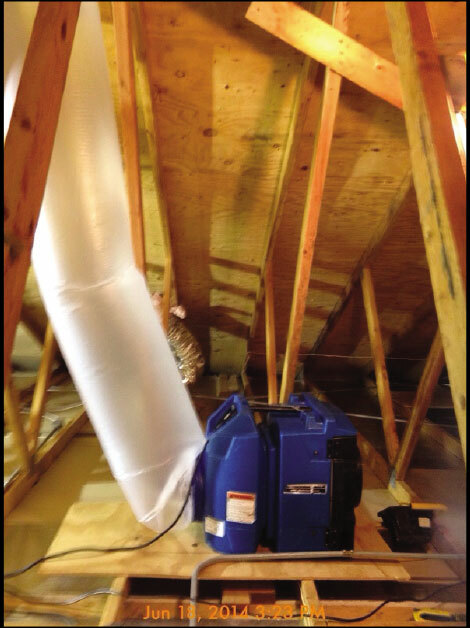 Remediation of the attic included media blasting all areas, detailed cleaning, removal of insulation, and re-installation of blown-in insulation. Everything was then cleaned and disinfected. All areas were verified clean by a CIEC (Certified Indoor Environmental Consultant).